In celebration of the Statue of Liberty’s 132nd birthday, EarthCam has shared an impressive two-year construction time lapse of the monument’s new museum and pedestrian plaza. 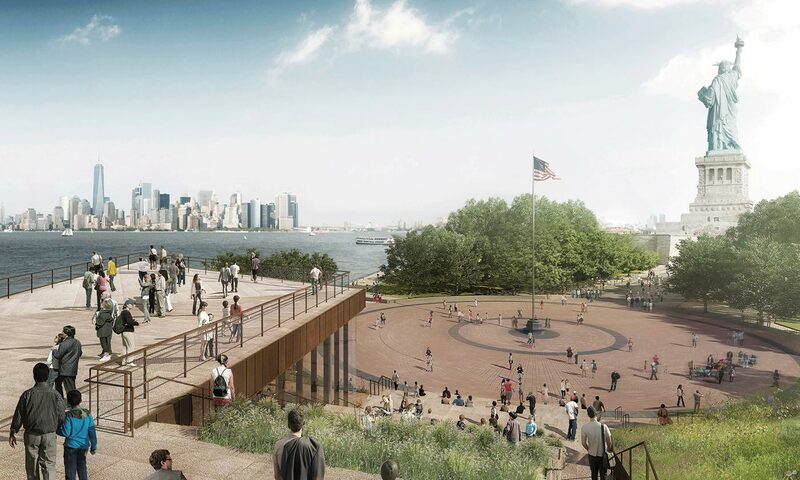 As structural engineer, DeSimone worked closely with FXCollaborative, the National Park Service, and the Statue of Liberty – Ellis Island Foundation (SOLEIF) to help realize the new cultural center. When completed, the new 26,000 square foot museum will serve as an extension of New York City’s most historically significant standing structure with a particular focus on sustainability, public engagement, and modern design. In addition to an indoor museum, the development will include a sprawling outdoor plaza and a rooftop terrace with incredible views of the Manhattan skyline. As a testament to sustainable design, the structure is anticipated to achieve LEED Gold Certification. Full completion is expected by May 2019.